COCOA BEACH, Florida -- On Monday, June 23, 2014, the Cocoa Beach Police responded to seven vehicle burglaries that had occurred Sunday evening along several blocks of North Atlantic Avenue in Cocoa Beach, Florida. Police say that the scenes were processed with numerous items of evidence being collected. Video was also obtained from one of the businesses and a suspect was identified from a previous encounter. 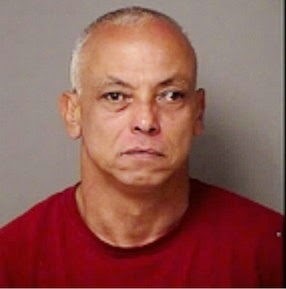 The car burglary suspect was identified as Jose Manual Santiago-Santiago, 48, of Kissimmee, Florida. An arrest warrant was obtained for Santiago-Santiago on July 2nd and he was later arrested by the Osceola County Sheriff’s Office on July 3rd. Santiago-Santiago was charged with 5 counts of Burglary and 2 counts Attempted Burglary, with a $60,000 bond.